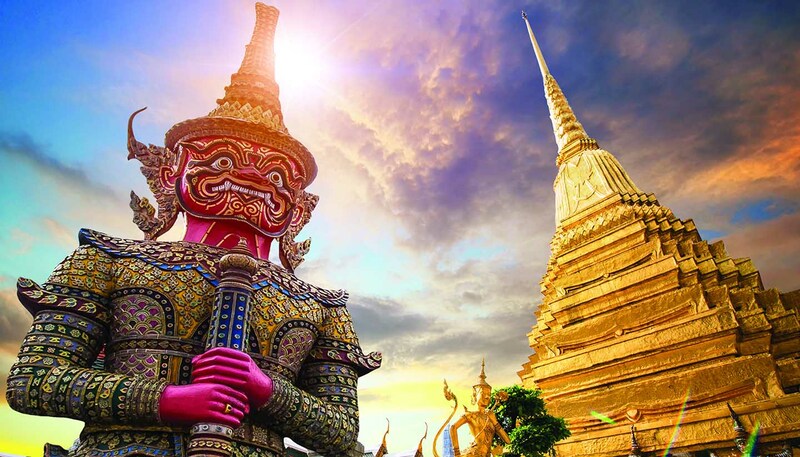 Buzzing, humid and exotic, Bangkok is the larger-than-life city where magnificent temples, historic markets, skyscrapers and rooftop bars create an intoxicating vibe that’s hard to resist. A blend of the traditional and the modern, Bangkok's every street has a surprise in store. Ramshackle buildings crouch next to striking holy shrines, which are overlooked by modern hotels and offices. But traditional Thai life is never very far away. Saffron-robed monks weave among the morning rush hour to collect alms; communities dwell in stilt houses by the Chao Phraya River, eking out a living using centuries-old skills. Banglamphu, the city’s backpacker hub, still draws visitors to the non-stop action of Khao San Road, while the markets and restaurants of Chinatown lie just south. North is the leafy district of Dusit, home to Vimanmek Mansion and numerous government buildings. 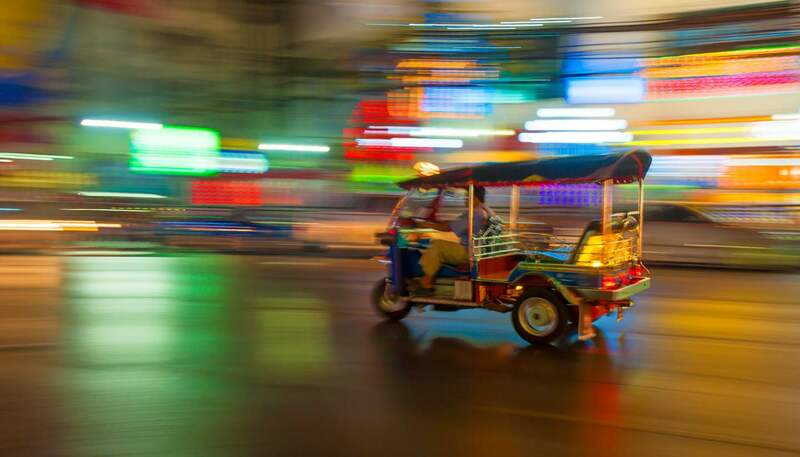 East of the canals is modern Bangkok, a hive of activity with countless businesses, markets and shopping malls, handily connected by the BTS Skytrain. Around Siam Square and Victory Monument, and up to Sukhumvit Road, is where Bangkok’s top hotels, restaurants and bars vie for attention. The weekend market at Chatuchak remains an essential Bangkok experience. Locals, tourists and ex-pats flock here on the weekend to bargain for household goods, souvenirs, clothes and original Thai art before grabbing a bite to eat or a quick leg massage. Those heading straight for Thailand’s beaches, or to the countryside of the north, miss out on experiencing one of Asia’s most exciting, ever-changing capitals. 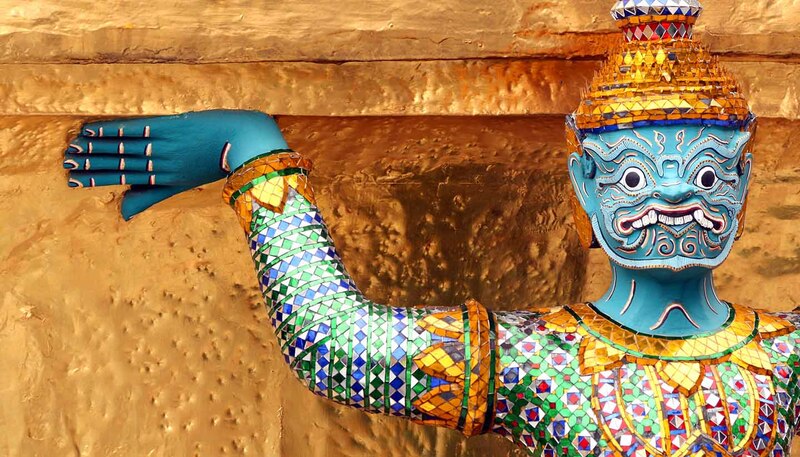 Spend a few hours in its charm and it’s easy to see why the great South East Asian gateway is one of the world’s most visited cities; spend a few days in Bangkok and become hooked for life.